The mission of Eternal Purpose Ministries (EPM) is to help believers understand, embrace & devote their lives to God's timeless vision for the church and the family. We are a registered non-profit ministry, based in the South Island of New Zealand. Please view the about page for more information on our ministry. Eventually, on this website you will find a range of content, all with the purpose of helping you understand, embrace, and devote yourselves to God’s timeless vision for the church, and the family. This is currently a work in progress, but for now you can view some additional content at our conference website. 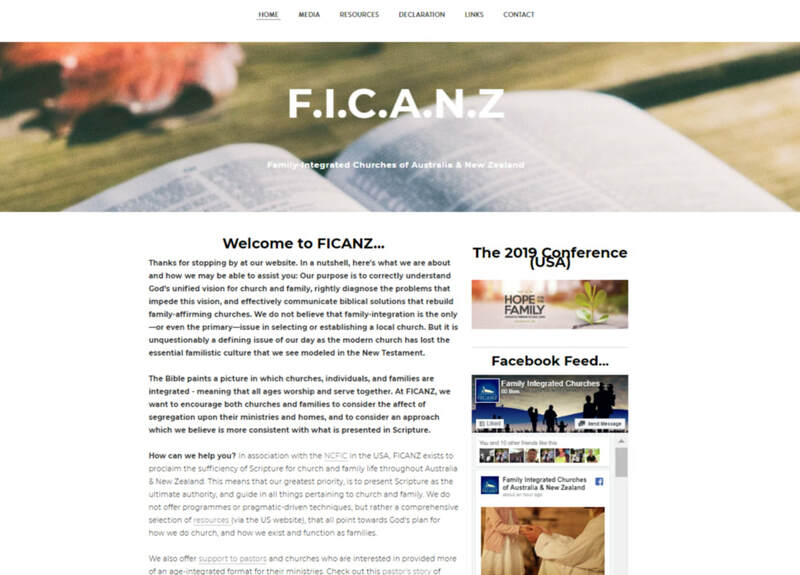 You can also check out the work we do at FICANZ (Family Integrated Churches of Australia & NZ) serving churches/pastors in this region. If you would like to be updated via email with content that seeks to uphold God's timeless vision for church and family, please fill in your details in the form below. If you would like more information, please do not hesitate to contact us. Please check out the events to the right - we hope to see you there if you can make it! Support our ministry by shopping for your books at Book Depository. From every sale made using the link below, 1% is donated to EPM. One off donations only via this button. Please use the form on our SUPPORT page for reoccurring donations.